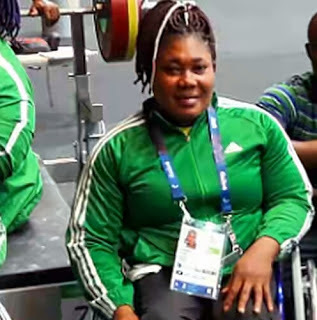 Nigeria’s Ndidi Nwosu has won the country’s fifth gold medal in the women’s -73kg Powerlifting event at the ongoing Rio 2016 Paralympic Games in Brazil. Nwosu lifted 140kg to equal the Paralympics Record (PR), which gave her the coveted gold at the event. France’s Souhad Ghazouani came second after she lifted 135kg, while Egypt’s Amany Ali came third.